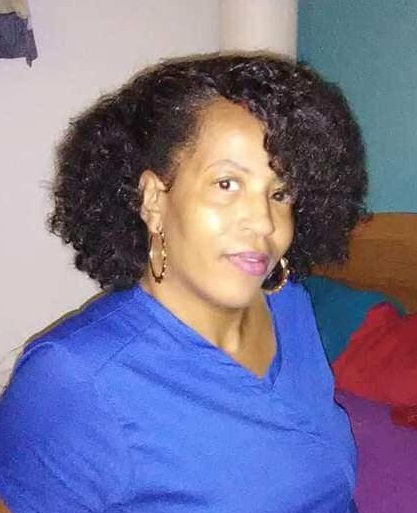 Obituary for Katina Louise Palmer | Beach Funeral & Cremation Services, Inc.
Katina Louise Palmer, 45, passed away November 4, 2018. She was born September 3, 1973 to the late Lena and Willie Palmer, Sr. in Virginia Beach, VA. She was predeceased by two siblings, Joyce Pruitt and Chuck Palmer. Katina was a graduate of Bayside High School, Virginia Beach. She was employed with Bayside Health and Rehab where she enjoyed working until her sudden passing. She enjoyed music, dancing, spending time with her family and new grandson, fashion trends, having a good time laughing and scratching her lotto tickets. She was always a joy to be around. She leaves to cherish her memory, three children, Dominque K. Palmer, Troy L. Palmer and Ormonda R. Palmer; one grandson, Messiah; eight siblings; and a host of other relatives and friends.